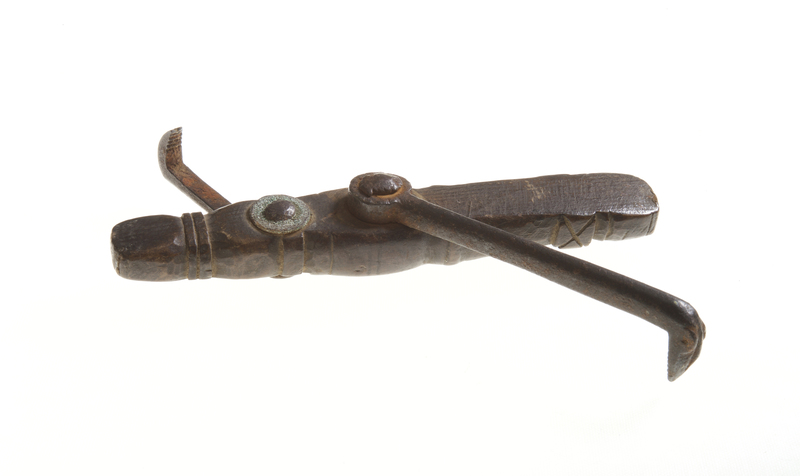 By the 16th century, the pelican was the primary device used by traveling tooth-drawers. Typically the patient was seated on the floor or a low stool with their head tilted back and held securely between the operator’s legs. By the 18th century, each pelican was unique, being produced by an instrument-maker to the practitioner’s specifications. 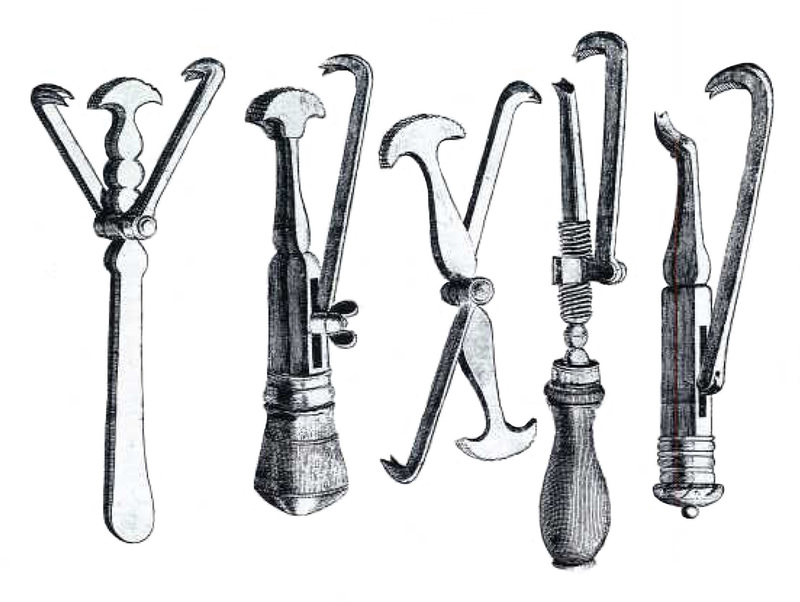 A variety of bolster shapes combined with claw lengths allowed extraction of different teeth. Unlike most of the ornate, adjustable pelicans of the 17th and 18th centuries, this circa 1600 wood pelican replica (A60.1) illustrates a broad body form and simple mechanism.